I love doing aerial tissu. I love it when I've been doing regularly for a good long while and I'm feeling strong, and most especially I love it when I'm working on a new choreographed piece. Regular practice is fun, but working towards a goal is just SO much more satisfying. Right now I am choreographing a piece I'll be performing in New Zealand (!!!) for our upcoming trip in April. 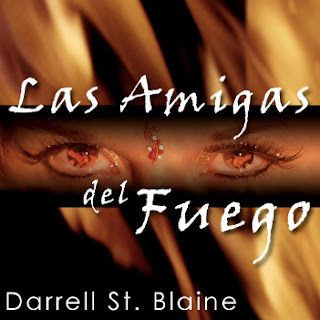 It's about a 4 minute piece, choreographed to Las Amigas del Fuego, which is an original song by my hubby Darrell. I sing harmonies on the song too, so this piece just feels creative all the way down to the roots. It's got a bit of a flamenco "feel" to it, so I'm learning a few flamenco "florellos" and planning on working up a flamenco-inspired costume. Maybe I need a rose in my teeth. Hmmm. I'm at the stage where I've got all the moves I want to do, and I'm hammering out timing and synching with the music, and adding in flair and dance-y stuff.. and this morning, for the very first time, I completed the entire routine (including ending drop) in time with the music! This is SO exciting, especially considering how a week or two ago I couldn't even get halfway through the choreography without gasping and losing grip and falling out of the tissu. Don't get me wrong.. I've got some good stamina, but learning a new routine is taxing on so many levels that one often forgets to do things like "breathe". And I'm incorporating two rather scary moves, a dive and a drop - and that fear of letting go never seems to wane completely. Still: I made it through!! YAY! Now it's time for tweaks and polishing and costume design.. and soon, performance!